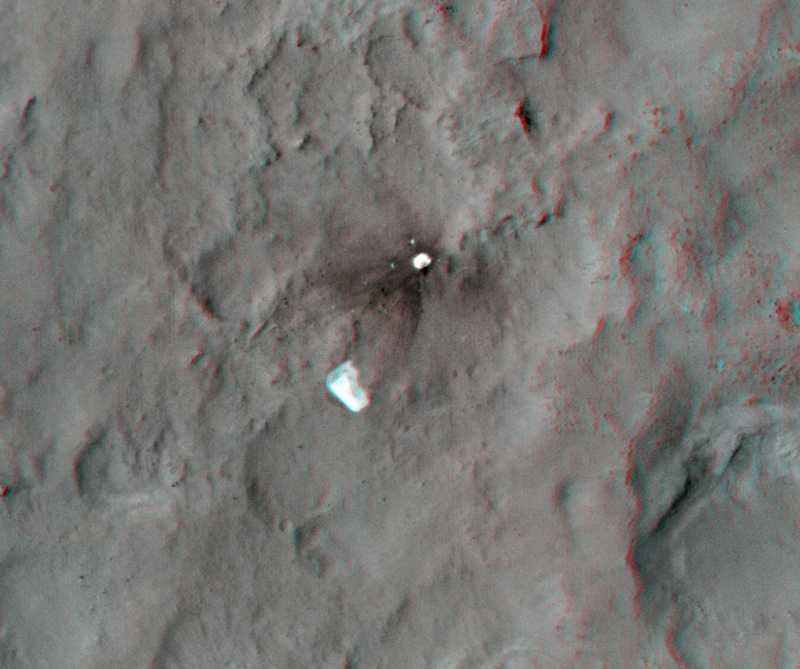 These seven HiRISE images were acquired between August 12, 2012 and January 13, 2013, and show distinct changes in the parachute (at bottom, attached to the backshell at top). In the first four images there are only subtle changes, perhaps explained by differences in viewing and illumination geometry. Sometime between September 8, 2012 and November 30, 2012, there was a major change in which the parachute extension to the southeast (lower right) was moved inward, so the parachute covers a smaller area. In the same time interval some of the dark ejecta around the backshell brightened, perhaps from deposition of airborne dust. Another change happened between December 16, 2012 and January 13, 2013, when the parachute shifted a bit to the southeast. This type of motion may kick off dust and keep parachutes on the surface bright, to help explain why the parachute from Viking 1 (landed in 1976) remains detectable. 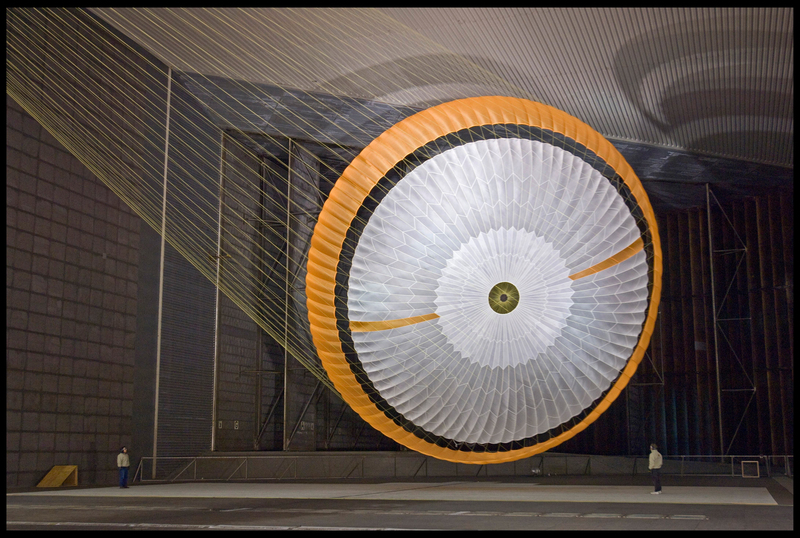 The parachute is the largest one of its kind ever constructed, coming in about 51 feet in diameter (you can see a scale here, courtesy JPL) The gap between the white and orange-hued sections prevented the chute from becoming torn during the descent phase. You can also see a 3D view of the parachute on the ground here. The parachute’s suspension lines were made from Technora, with a fiber similar to Kevlar. The color is a creamy yellow, which is why they are not visible in the images such as those in the Phoenix lander descent image which were white.